There are many reasons to study Russian: fascination with Russia’s history and politics; curiosity about how the once-great super power is making the transition to a market economy; love for Russian music (Tchaikovsky, Orthodox liturgical music, folk songs on the balalaika); a desire to find out what it’s like to read Dostoevsky in the original; or simply an interest in being able to explore this huge, diverse country on your own – something that knowing the language would help you to do. Russia continues to be a major player in world politics, and with its vast natural reserves will be a growing player in international trade and energy economics. But beyond all that, there is the fascination of a great country whose people’s lives are beginning to get better – who are eager to travel, explore, and grow from interacting with others. Students who study Russian at Bates do so for all sorts of different reasons. Some of them are suggested above; others come from families with connections to Russia or other parts of the former Soviet Union; some have specific interests in business, government o – even space exploration! 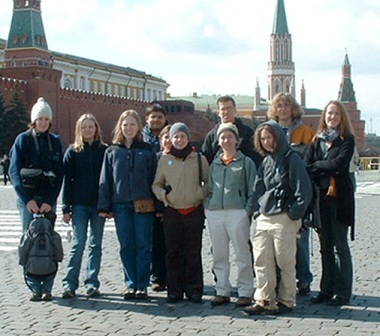 The best reasons to study Russian are those that other students will share with you… so we provide some links here to former Bates russkie studenty, who are now graduates. What almost all of them would tell you is that despite its challenges – the alphabet, the verbs, the pronunciation – Russian is worth learning, and not as hard as you might think. 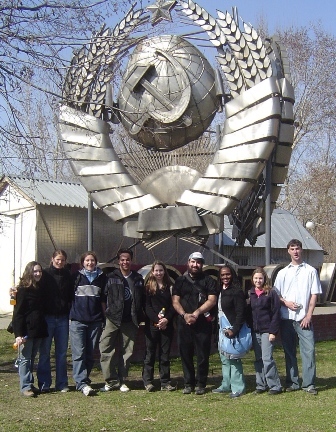 The greatest rewards come on those days when you’re finally able to find your way around a Russian city; or you can get on a van and ride out into the Siberian taiga; or you can sit with a group of Russian friends and share stories and songs – from lives that are very different, but still have a great deal in common.